Quality Traffic. Better Leads. More Revenue! 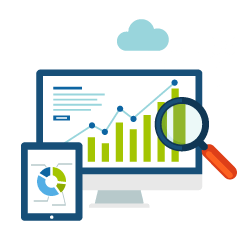 Our Core SEO Services include: Organic Search, On-Page SEO, Link Building, Keyword Research, Lead Generation Strategy and Custom Reports. Search Engine Optimization is fundamental to the success of any website. We have developed SEO strategies that will systematically earn a higher ranking for your website in organic search results. We’ll provide a full SEO keyword rankings report, a link-building profile report and indexed page information. Trusting an SEO company is hard because the relationship is built on trust. We feel we can give you a fairly accurate prediction of how long it may take for us to rank on page one for you. However, because this relationship must be mutually beneficial, we work on a month-to-month basis. There are no long-term contracts. All we ask of you is to give us the first 90 days to prove ourselves. After that, we will continue to earn your business on a monthly basis, hopefully for years to come. Within the first 60 days, we're pretty confident you’ll see a noticeable improvement in your rank. But SE﻿﻿﻿﻿O can take time. If you are willing to give us this changes, we are certain that you'll be glad you did. What Sets the Scott McKellam Agency Apart? As a business partner, we do the research necessary to see where we can make an impact. We provide honest and accurate reporting; positive or negative. You see exactly what you're paying for. We stand behind our results — and guarantee to earn your business month after month. A ﻿﻿partnership ﻿﻿with the top Northern VA SEO ﻿company ﻿will ﻿﻿provide ﻿﻿﻿﻿the ﻿﻿exposure and brand recognition you need. According to our many clients, we are the #1 SEO Services agency in Northern Virginia.